TCM Open Pont 1.0. Best Software and Device for Alternative Mediine from BioPulse. 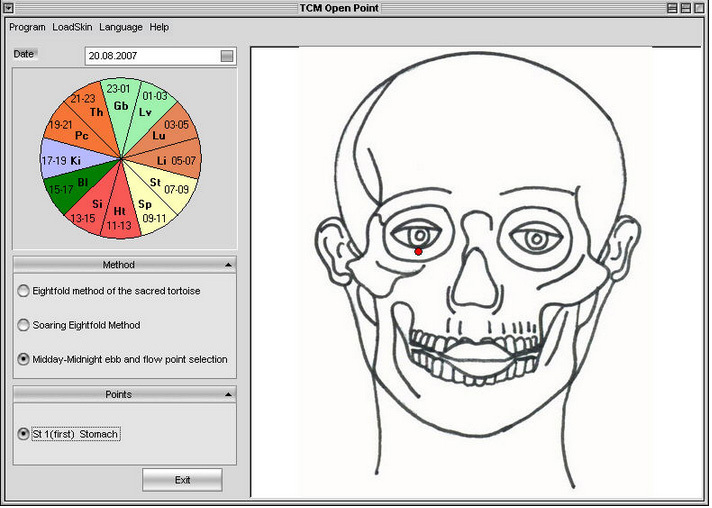 This software provides you with 3 methods of Open Points calculating in classical chinese acupuncture. You should choose necessary time, date and one of 3 Open Point methods. 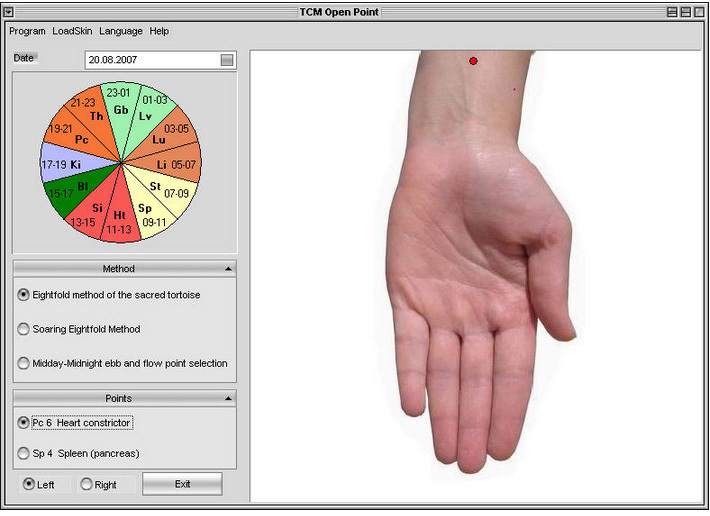 The software displays the "open points" for an influence of any kind: acupressure, acupuncture, moxibustion and so on. - to use the "open" point for added efficacy to general acupuncture in accordance to the problem of the patient. Works independently from the device.